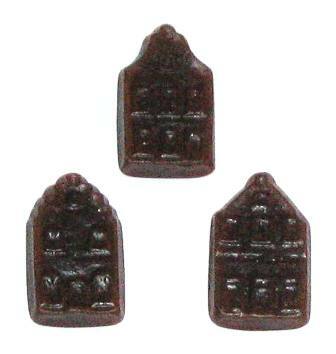 Dutch Village Houses licorice (Oud Hollandse Geveltjes) are an absolutely delightful soft and sweet Dutch licorice with shapes of old Dutch village buildings (Old Dutch Fronts). They are made with real licorice and cane sugar. This licorice is truly quite unique. There is a definite gri ..